Posted on Февраль 3, 2017 by Татьяна Н.
Прилагательные на -ED/-ING (или причастия) часто вызывают трудности в употреблении. 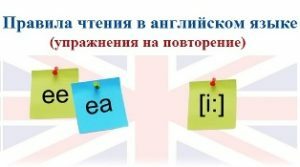 Чтобы разобраться, когда употреблять прилагательное на ED, а когда на ING, нужно запомнить следующее. Упражнение 1. Make up sentences from the given words. Упражнение 2. Choose the correct word. 1. I’m interesting/interested in collecting stamps. 2. Everyone is depressed/depressing by the awful weather. 3. I think that airports are exciting/excited places. 4. I’m tired/tiring. I think I’ll go to bed. 5. The journey was exhausted/exhausting! 6. It’s not surprising/surprised that she’s busy. She’s got six children. 1. The teacher was annoying/annoyed because I had forgotten to do my homework. 8. He loved the museum — he thought it was fascinating/fascinated. 9. We went to the cinema but I was very boring/bored because I had seen the film before. 10. I like this monkey. It is very amused/amusing. Упражнение 3. Put an adjective from the box into each gap. 1. What programme are you watching? Is it____? 2. ‘I’m going on a safari in Africa!’ ‘Really? How____!’ 3. What time did you get home last night? I didn’t know where you were. I was very ______ about you. 4. The children are____and they don’t know what to do. 5. It was quite___ that he has passed the exam. 6. I was____ with the film. I expected it to be much better. 7. I don’t want to read this book. It is _______. 8. The cartoon was very _______. I laughed a lot. 9. I don’t want to go to the match. I’m not ________in football. 10. We were very ________when we heard the news.